Suzz here again! I am back to share the other side of my new art journal. I have been carrying my new book around jotting down ideas, sketches and doodles. I started with a piece of white cardstock. 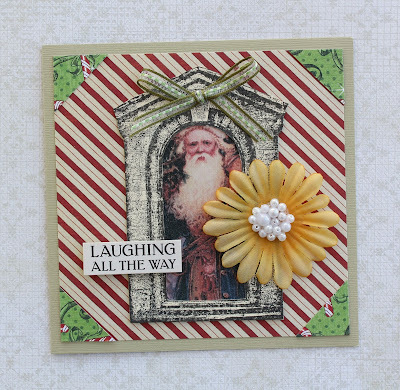 I used the damask stencil and Embossing Paste to create texture on the cardstock. After it dried I sprayed gold glimmer mist over the surface. I sprayed touches of brown glimmer mist in areas. I smeared the white paint over the surface to catch the damask edges and lighten the colors. 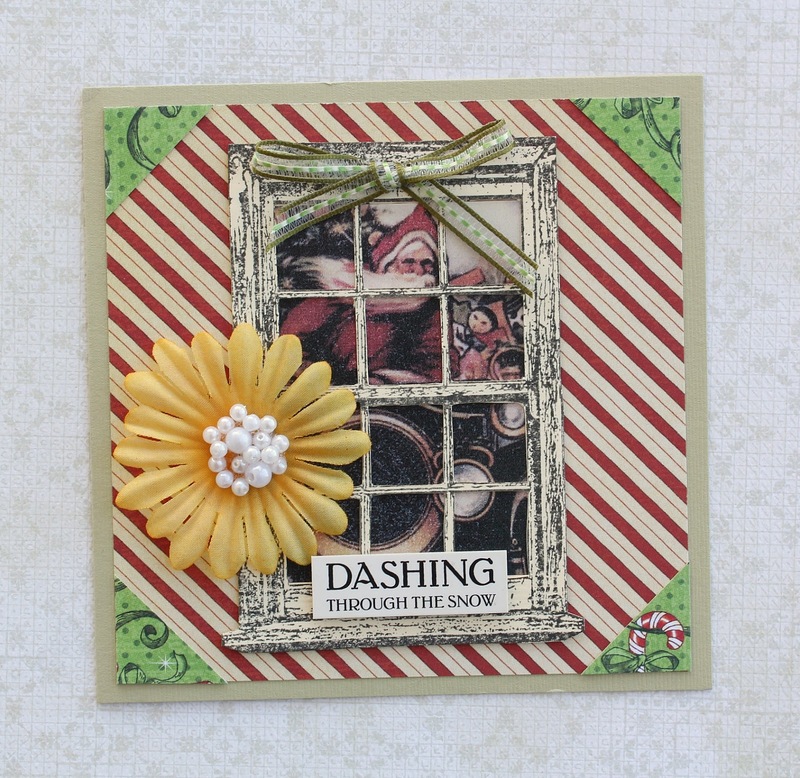 I stamped the lovely new Eclectic Flourish around the edges. I stamped the Darkroom Door - Arch using the Ranger Archival Ink - Coffee. I added a few numbers in the background from the Darkroom Door - Home set. The butterflies are from the Darkroom Door - Butterfly Garden, and are stamped on tissue paper and glued to the surface. I applied the cardstock to the back cover and finished the edges with tissue tape. 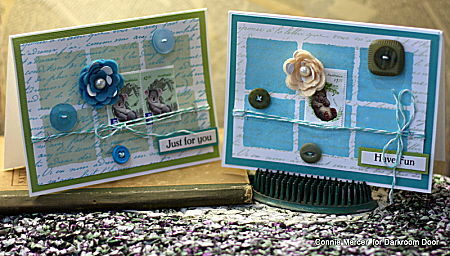 It's Belinda here today to share two cards created with the Compass Eclectic Stamp. 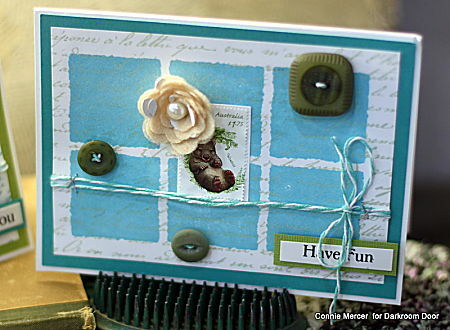 I love that the Compass Stamp is so perfect for more masculine cards. Here I applied the stamp to vellum with Black Archival Ink and then cut into a circle using a circle die. I created the background by applying the Chevron Background Stamp (my favourite background stamp) to white cardstock using clear embossing ink. I then heat set with Ultra Thick Embossing Enamel before rubbing in Pumice Stone Distress Ink with an ink blending tool. Next I sprayed on some Kraft Glimmermist, dried with a heat gun and then stamped with a quote stamp from the Vintage Automobiles Stamp Set. Thankyou for stopping by the blog today! Hi everyone! It's Melissa here with some cards to share with you! Each time Rachel sends me a new stamp to work with, it becomes my favorite, just as the new Musical Cherubs Frame stamp has become. It speaks to my shabby, vintage-loving heart. I began by stamping the frame onto a block of glassine using watermark ink and then embossing it in gold. I then trimmed the frame from the glassine and layered it over patterned paper and vintage sheet music. All that was left was to add a few trinkets to the inside of the frame such a vintage buttons, a flower, a snippet from the Art de Fleur Montage, and other findings. I framed in the sentiment at the bottom which came from the Venetian Wordstrip. 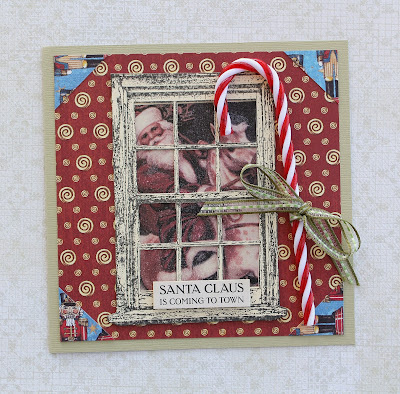 The Musical Cherubs Frame Stamp is so beautiful on its own, but so much fun to dress up and personalize. Hi everyone! Continuing on with our Shadow Frame stamp blog posts, today we're sharing projects using the Shadow 6up Frame Stamp! Details from Rachel: I stamped the Shadow 6up using Cobalt Archival ink. 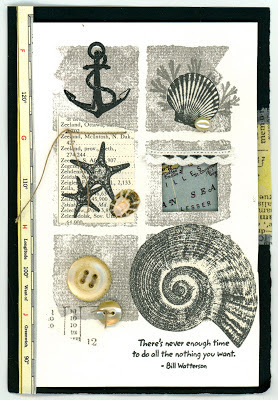 Trimmed some small images from the Seaside Montage and adhered them to the card using foam adhesive. I cut small pieces of muslin and layered it between the stamped image and a word from the Seaside Wordstrip! 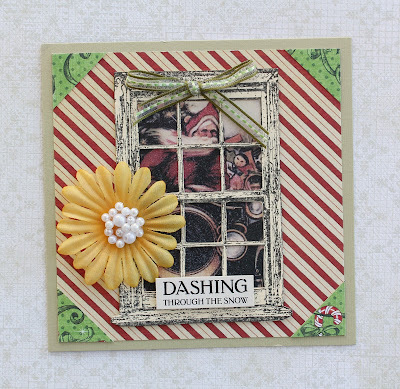 Details from Melissa: My card today uses Darkroom Door's new Shadow 6 Up Frame Stamp. I was so excited when it first arrived and ideas started swirling. I began by stamping the images using watermark ink onto patterned paper and then embossed them using Zing Blush embossing powder. I then embossed just a small portion of the Shadow 6 Up Frame using the French Manuscript Background stamp with silver embossing powder. I machine stitched between each box to create a visible grid and set to work filling each square. I love the photos in the Hello Baby Montage, so I snipped a few, sanded and distressed each, and added them to a few of the squares. The stamped sentiment on the tea-stained tag is from the Hello Baby Vol 1 stamp set and it is combined with the Venetian Wordstrip. Next came adding embellishments, vintage trim, sheet music, sequins, buttons, tulle, washi tape, and flowers. This is such a fun and inspiring stamp set. Can't wait to use it again! Details from Godelieve: I stamped the Shadow 6up Frame Stamp twice and cut a square piece of 9 blocks. I inked the 6 squares with Distress Ink #Barn Door, misted with water, stamped on smooth cardstock. 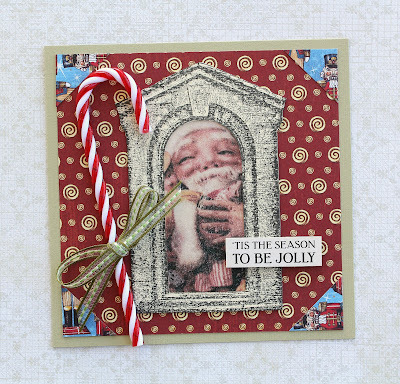 To add more texture I used the Mesh Background stamp with Distress Ink #Wild Honey. The flowers and quote were stamped with Ranger Archival ink #Jet Black. 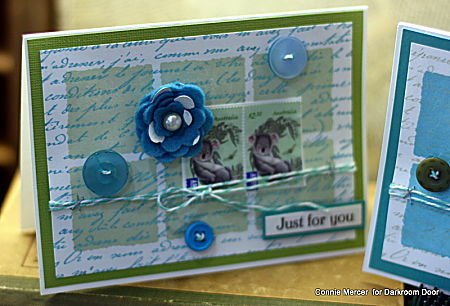 I attached a heat embossed vellum heart and a punched heart, using Tim Holtz Tiny Attacher. Love those tiny staples. The background on this card just "happened" when I was cleaning the stamp on white cardstock. I decorated the squares with vellum Spiral Flowers, heat embossed and colored with Distress Markers. Details from Connie: Hi everyone~ I have been having a blast creating with the Shadow 6up! It is a wonderful compliment to other Darkroom Door stamps. I stamped the French Script background stamp over the 6 UP Frame stamp. I reversed the inks on both cards, using the green/ blue combo. I also used some Australia postage stamps (hmm, wonder where I got those at) :):), some large buttons and one of the word strips for the sentiment. This rubber stamp has become a favorite! Details from Susie: Oooohhh, Darkroom Door's Shadow 6 Up frame stamp is so much fun to work with! For this first card, I roughly inked up the stamp, missing small sections of the rubber, and then stamped in onto textured card to give a more weathered look. I then punched a square hole into one section of the frame to create a window. 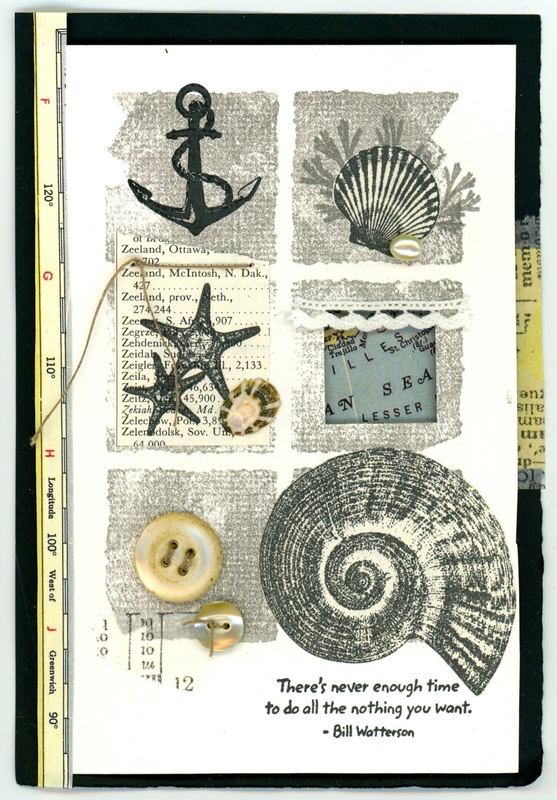 I added a number of stamped images from Darkroom Door's stamp sets: Seashells and Seaside Vol 2 and embellished the work with vintage buttons, a pearl, a shell, thread, lace, washi tape and a section cut from an old map. I used 3D mounting tape on my work, adding a section of map under the window and affixed it to black card. London was the next theme in mind as I continued to play with the Shadow 6 Up frame. 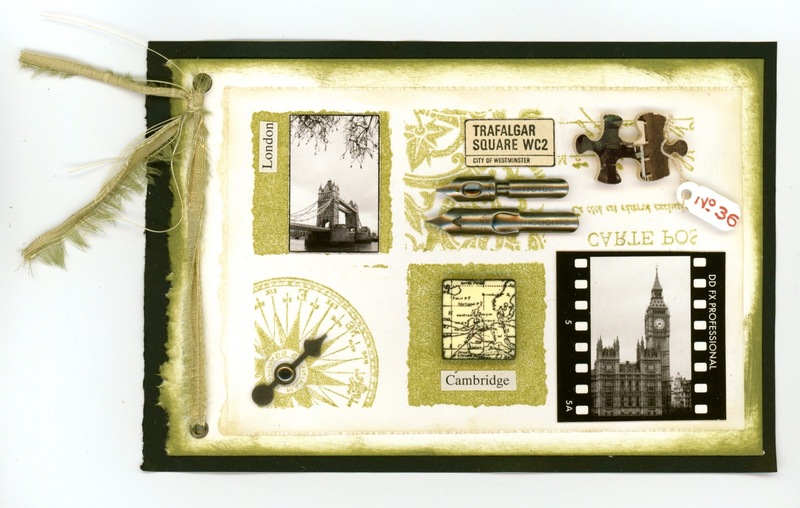 This time I stamped the compass (Sail Away), pattern (Ornate Elements) and postcard (Champs Elysee) images onto three sections of the stamp and then inked the remaining blocks to create a mix of patterned and solid blocks. You need to be pretty organised and work fairly quickly so that the ink doesn't dry out! 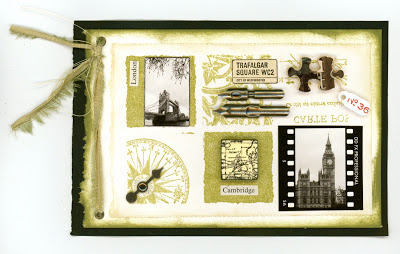 The card was then embellished with images from London Vol 1 filmstrip and London montage. I stamped the United Kingdom section of the World Map background stamp onto the back of a Scrabble tile and Trafalgar Square label (London Vol 1 stamp set). The number from the small tag is from the Ornate Elements stamp set. A few other treasure were added to complete this card: silk fabric, eyelets, game spinner, vintage text, a wooden jigsaw piece and pen nibs. 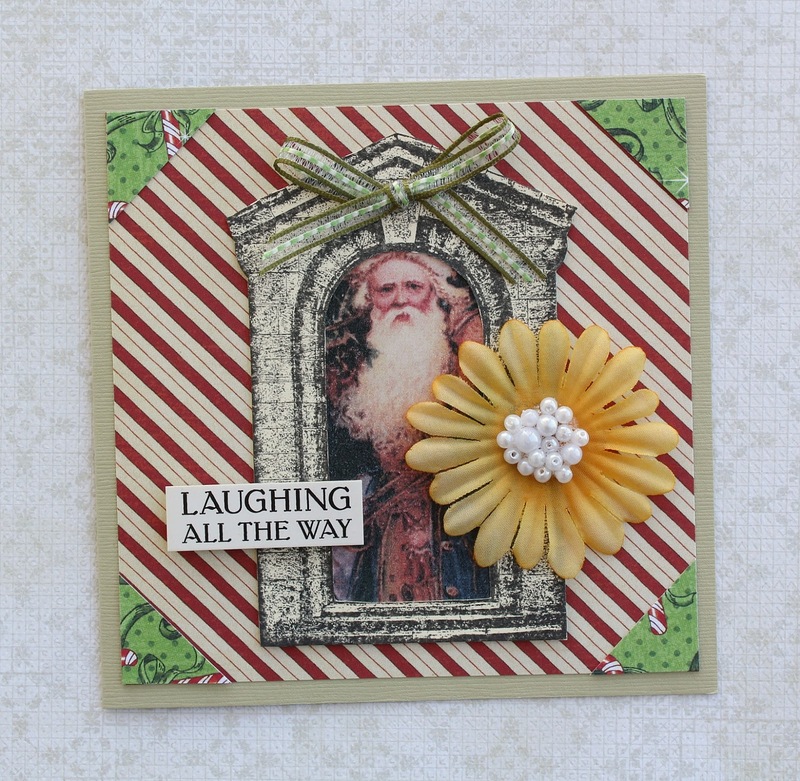 Darkroom Door's Shadow 6 Up frame stamp is extremely versatile and great one to add to your collection! Thanks for stopping by today!